FRANKFORT, Ky. (April 9, 2019) – Gov. 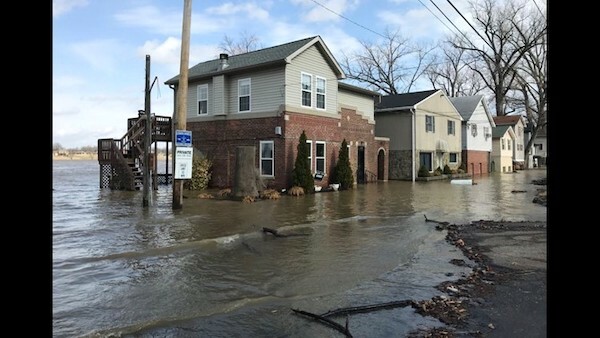 Matt Bevin last week sent a letter to President Donald Trump, requesting a Presidential Disaster Declaration for 58 Kentucky counties that were impacted during a severe weather event in February and March. The system produced extended episodes of strong winds and torrential rain which caused flooding, flash flooding, landslides, and mudslides. 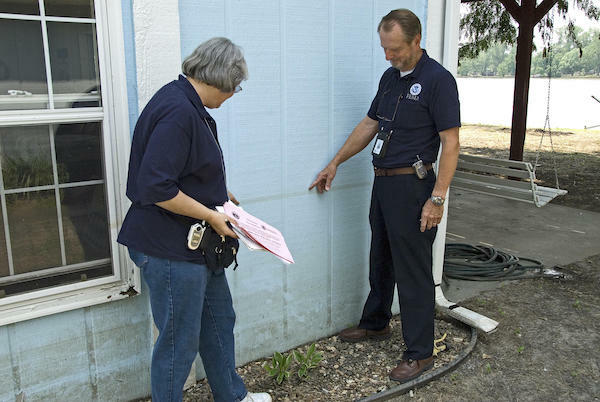 FEMA Specialists Patricia Klebenow and Curtis Knight point to the high water mark from flood waters to this home. FEMA has a variety of aid that may be available to flood victims.